These Striped Fox Display shells are well cleaned and natural polished. 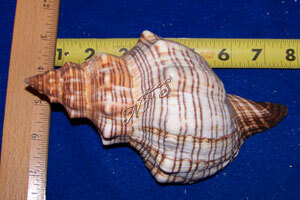 These shells are the natural colors and will and may have imperfections. 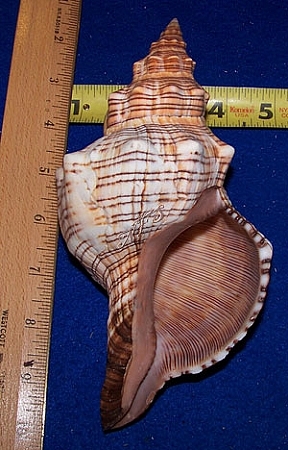 This shell is offered in 2" up to 6"+ in size. This shell is also known as asciolaria Trapezium. Great for crafts, weddings, collectibles and display or XXl hermit crabs. These are a great shell for display. Nice Shells. Very fast safe shipping. I think my other reveiw was dead on! Another home run hit by the Wagner family. Great shells and Great prices.Definately the best. Great Job From Bill Washington.